The dive sites around the Gili Islands are packed with diverse species of marine life making our office a truly magical place to explore. For us here at the Gili Shark Conservation project the most magical thing about the beautiful reefs surrounding the three Gili islands is the abundance of juvenile black tip and white tip reef sharks who are consistently sighted in the region making it a unique and important location for these species life cycles by playing the part as a shark nursery. 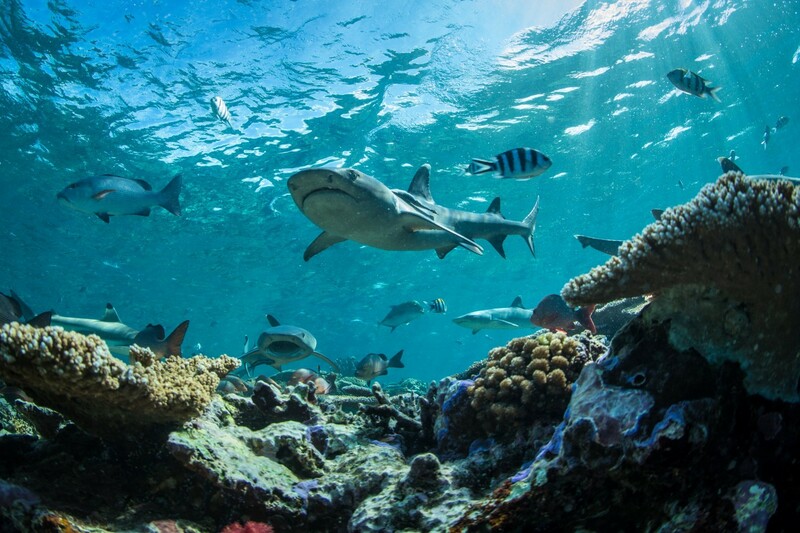 Sharks have called Earth home for more than 400 million years making them prehistoric. They have adapted to live in every marine environment and it is estimated that there are around 500 species of sharks worldwide. The amazing thing is that even though these creatures have existed since before dinosaurs we still know very little about them. For marine conservation to be effective we need to know about the population of the species we aim to protect and to learn about their life history and the environment they chose to live in. Our photographic identification program is a very useful tool for us to be able to identify the sharks resident in our area and monitor their behavior to help us to understand these mysterious creatures. With the use of underwater cameras we can identify individual sharks living in the area and track their behavior and populations in a none invasive way. The side profile of a shark can be used as a unique finger print to create an individual profile for each shark that we manage to get an identifiable picture of. 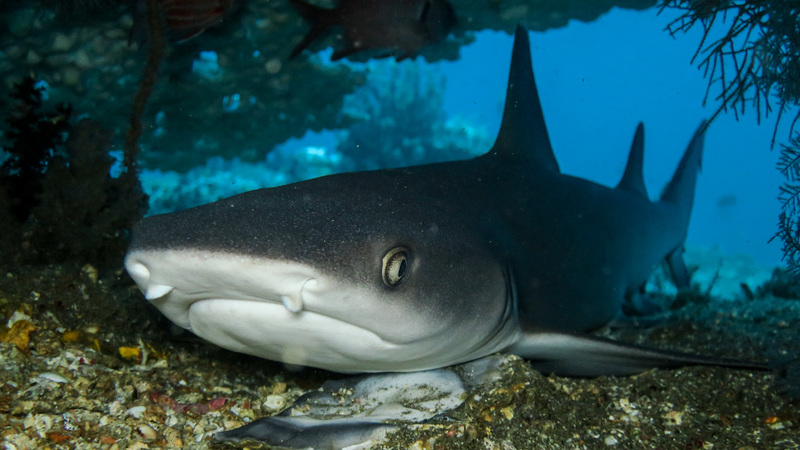 It can be very tricky to get an identifiable photograph of a shark as sharks are often scared of divers and will swim away when approached or they will hide under rocks and overhangs to feel protected. Although the photo identification method can be time consuming it has many advantages over tagging methods as it is less invasive and significantly cheaper to perform. Luckily for us, the development of computer software makes photo identification easy and accessible. Our research team carryout photographic identification dives throughout the week. The aim is to collect identifiable quality photos of both sharks and turtles. We use underwater cameras to take the pictures, slates to record the credentials of the individuals photographed and a T-stick which is a meter long stick that is marked every 10cm to assist us in accurately measuring individuals. As mentioned previously we are focusing on collecting identifiable pictures which for sharks is sometimes a little bit more challenging, we aim to take a picture of both sides of each shark we come across. We prioritize this area as every shark has unique markings along its body similar to freckles; these markings remain the same throughout their lifetime. 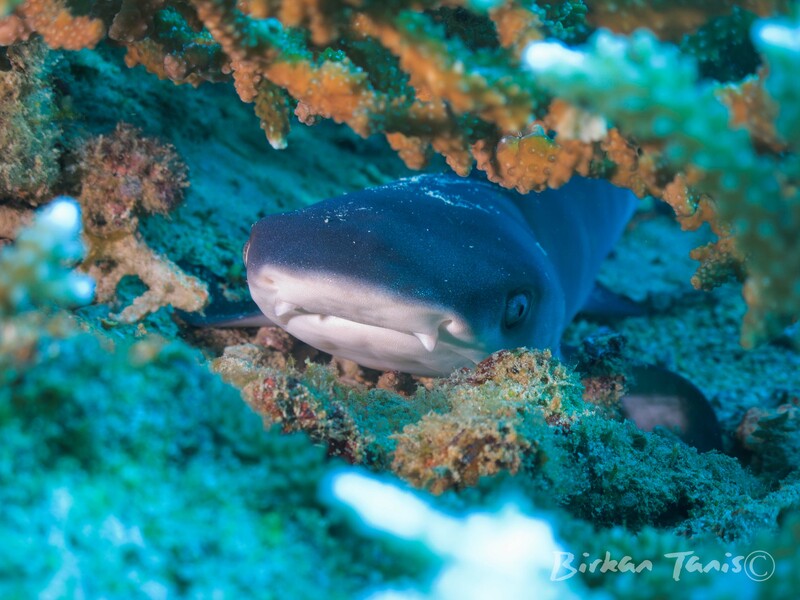 If you have been diving around the Gili islands and think you have a photograph taken during your time here of a shark that can be used in our identification program, please feel free to share your image with us at sharks@gilisharkconservation.com . If the shark is recognized as a new individual you will have the honor of being able to name it. We use a program called I3S where we input our photographs and identify individuals. This is a very easy computer program to use which recognizes patterns in individuals pictured allowing us to create profiles for newly identified individuals or allowing us to track already identified individuals. During your time with the research team you will be trained in both photographic identification dives and in how to use I3S software. To see exactly how the I3S program works click here.